+7 (963) 990-0155 Add event! Add your events absolutely for free. 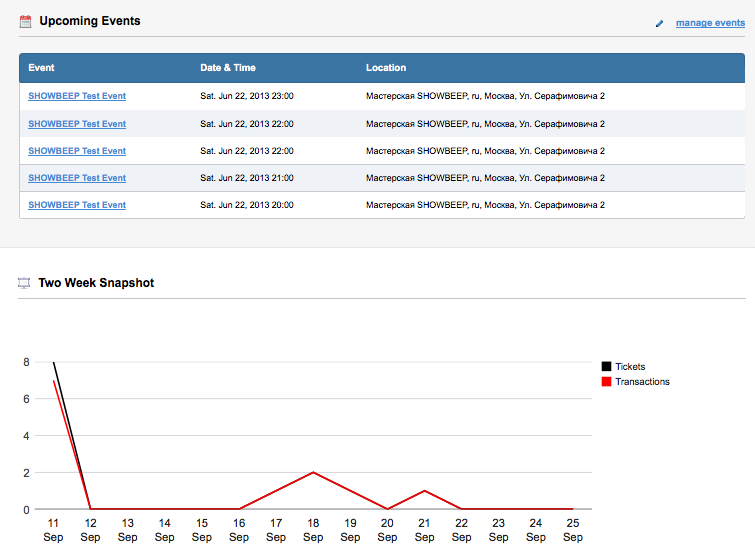 Receive reports and diagrams of your ticket sales in the real-time regime. For control of your events you' l need Internet only. Use offered lay-outs of well-known concert halls and theaters. 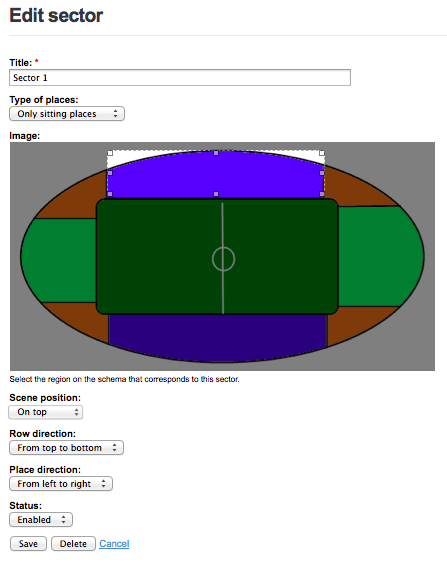 In a matter of minutes create your own lay-out of the audience seatings. We are the first who offers you this unique service. Everything you need is a computer, a printer and the internet. 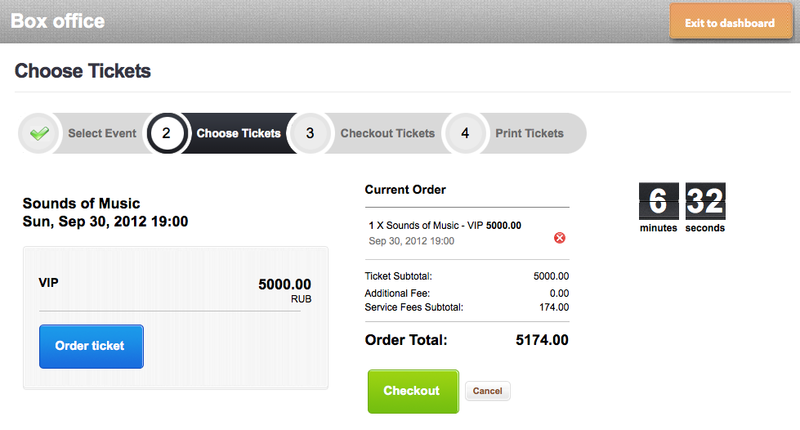 Create your own mobile ticket selling network. Participants in our events receive ticket by e-mail and to their cell phone. 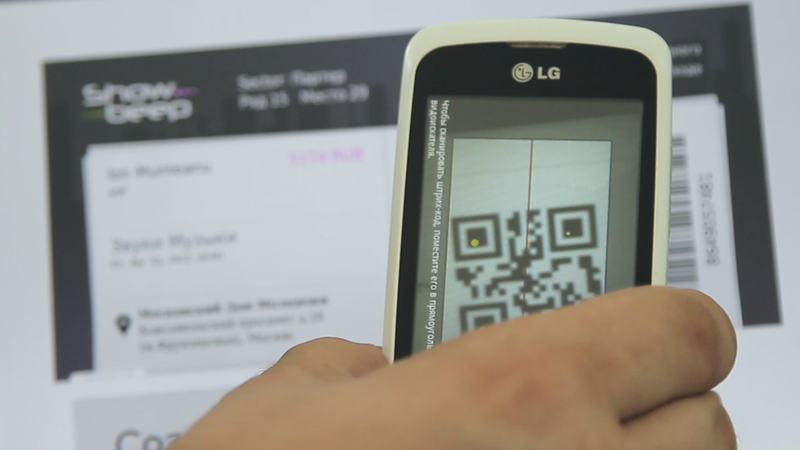 Tickets are scanned right from you smartphone screens. Scan tickets with our applications to your iPhones / iPads / iPods and Androids. Receive reports on every scanning in a real-time regime. Tearing-off tickets time is long left in the past. Creating your event page with us, you are getting a ready-to -use site. You are getting an access to all the popular social networks, a chance to inform your potential customers without wasting big budgets on advertisement. If you have your own website, just add a link to your event on our portal using one additional button. How to find, buy and get a ticket? 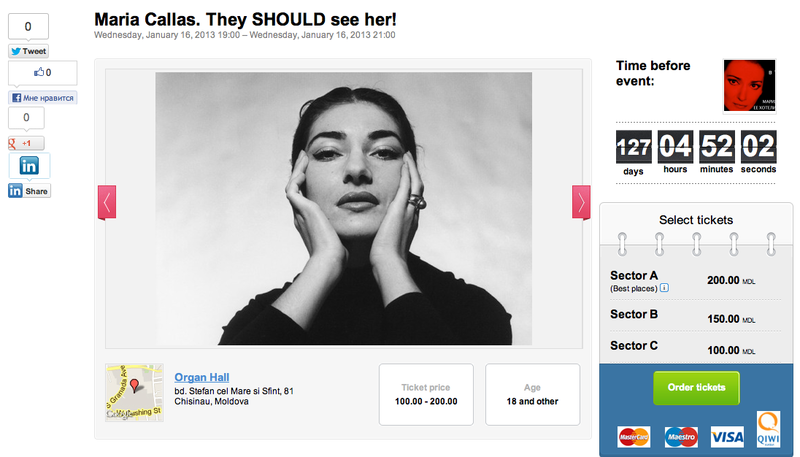 To organize the event and to sell tickets quick and easy! To find, pay and get the ticket without leaving your computer!